With Fasto’adhesives all types of plastic materials can be bonded. Synthetics like PVC and ABS are easy to bond, but also plastics that are difficult to glue – such as PEEK and PA (Polyamid) – can be easily joined with special adhesives. All adhesives from Fasto are solvent-free, so that no stress cracks occur at the at the contact surface edges. Once cured, Fasto adhesives have a high strength and load capacity. 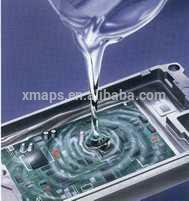 Epoxy and acrylate resin based sealing and molding compounds are often used in electronics to protect electronic components, semiconductors and subassemblies. The encapsulation protects components from moisture, dust, dirt and solvents. Used to fill cavities or encapsulate components, sealing compounds also provide effective protection from mechanical stress. All Panacol sealing compounds are made without solvent and many have a low ionic content of less than 10 ppm Na , K , Cl- and Br-. They therefore provide perfect protection from internal corrosion and reduce local voltaic coupling. Many sealing compounds are UV-curing, allowing rapid setting in just a few seconds. This makes them suitable for encapsulating components in fully automated high-volume production. Thermally curing sealing compounds, on the other hand, have the advantage of curing even in dark areas that the UV light cannot reach. These encapsulants are also available in black colour for use as a coating or covering. The table below lists a selection of sealing and molding compounds from Panacol. Further products and custom solutions are available on request. Adhesives for magnets need to be highly reliable and resistant to vibration and corrosion. Cyberbond manufactures magnet adhesives that can handle the absorption of shock and impact, ensuring that the connection between magnets remains strong and secure. Instead of using clips or bolts to get your magnets into position, a magnet adhesive is a reliable alternative method. Cyberbond offers acrylics, cyanoacrylates and epoxies that can be used for your magnet bonding needs. These bonding materials will reduce your business’s need for an inventory of fixative parts while streamlining assembly. With Cyberbond, we will give you the ability to purchase a single case for small applications, as well as mass quantities for your growing production needs. Cyberbond is an international manufacturer of adhesives for a variety of industries who depend upon our magnet glue. Cyberbond is trusted by companies all over the world to meet their important requirements for magnet adhesives. Cyberbond offers magnet glue with a variety of properties such as high strength, low viscosity, quick set time, variety of colors and more. Cyberbond is committed to manufacturing high-quality adhesives and we prove that with our ISO 9001:2008 certification, ISO/TS 16949:2009 certification and ISO 13485:2003 certification. For further information in regards to the magnet adhesives we offer, request a sample by contacting Cyberbond today. Fiberglass adhesives are frequently used in the automotive industry as a way to bond fiberglass with metals. Since fiberglass is simply a glass-strengthened plastic, plastic bonders such as acrylics will easily bond fiberglass. The fiberglass adhesives manufactured by Cyberbond are consistent in their quality, so they will continue to conform to your company’s production standards. With Cyberbond, we give our customers the ability to purchase individual cases of fiberglass glue for small applications, or purchase mass quantities for a larger-scale need. Cyberbond is an international manufacturer of adhesives that your business can rely upon for the best fiberglass bonding materials. 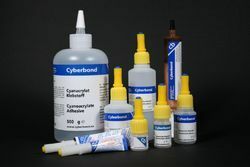 Companies all over the globe depend upon Cyberbond for their fiberglass adhesive needs. At Cyberbond, we offer fiberglass glue with a diverse range of properties such as high strength, high/low viscosity, quick set times, variety of colors and more. 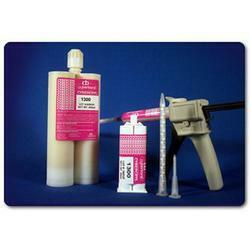 Choose the fiberglass adhesive that will meet your specific bonding requirements. Cyberbond is dedicated to manufacturing only the highest quality adhesives and it shows through our ISO 9001:2008 certification, ISO/TS 16949:2009 certification and ISO 13485:2003 certification. For more information about the fiberglass adhesives we offer, request a sample by contacting Cyberbond today.